I'm teaming up with my sweet friend Ashley for another blogger collaboration! These are getting to be so much fun :) Ash is a fabulous gal inside and out. I had the pleasure of getting to know her through social media and we finally got to meet up and hang out a few days before I left LA. Though it was short and sweet, I'm so glad we did because she totally rocks. If you don't already follow her, hop on over to her blog Ash'n'Fashn and prepare yourself to become obsessed. Girl's got style game. Like for real. I'm overjoyed that the temps have dropped and I'm able to bust out all my cool weather favorites - including these boots. They've become a complete staple since I won them last year in a giveaway proving to be one of the most comfortable and most fabulous pair of boots I've ever owned. Have you entered my giveaway yet? Hop on over for your chance to win the coveted ILY Couture Sweatshirt! Enjoy your Tuesday, shop my look below and don't forget to stop by Ash's blog to see her style those freaking amazing camo trousers! Love this jacket!!! Not to mention I can't believe you won those boots, they are so fab! Cute touch with the BAD ring to. two of my favorites! adore your jacket girl!!! Love this look, and your hair is so pretty!! LOVE that jacket! And you hair is Ah-MAZING!!!!!!! I just found your blog through your collaboration with Ashley, and I am obsessed! 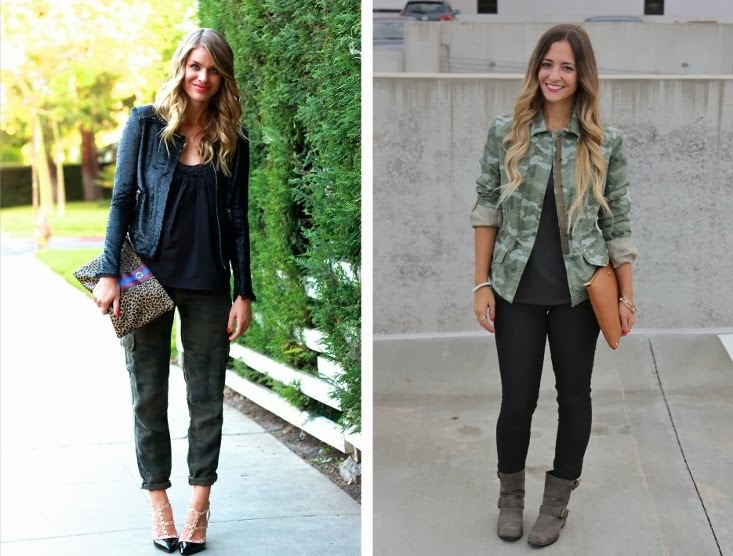 Your outfit is perfect fall casual wear and your jacket is amazing! The camo trend is So fun. 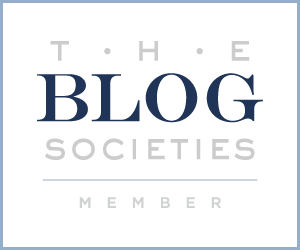 Now following you on Bloglovin & can't wait for more posts! 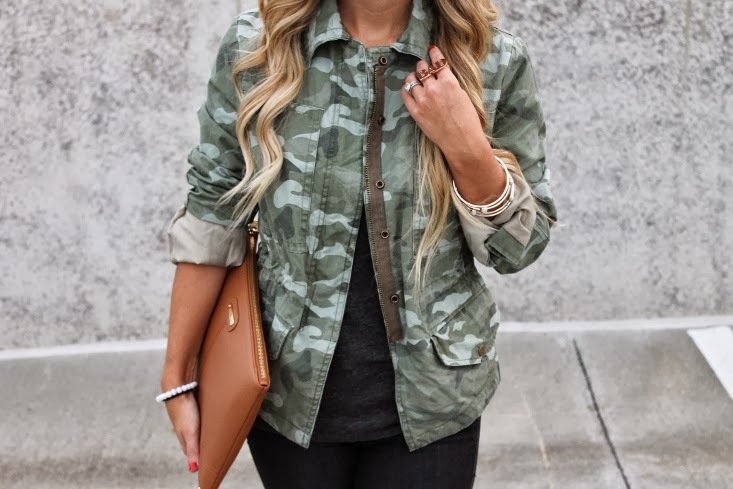 Very chic use of camo! I like both looks, but I am in love with yours. Very inspiring! You guys both look awesome!! I love that you styled your jacket with those tough boots!! So gorgeous! 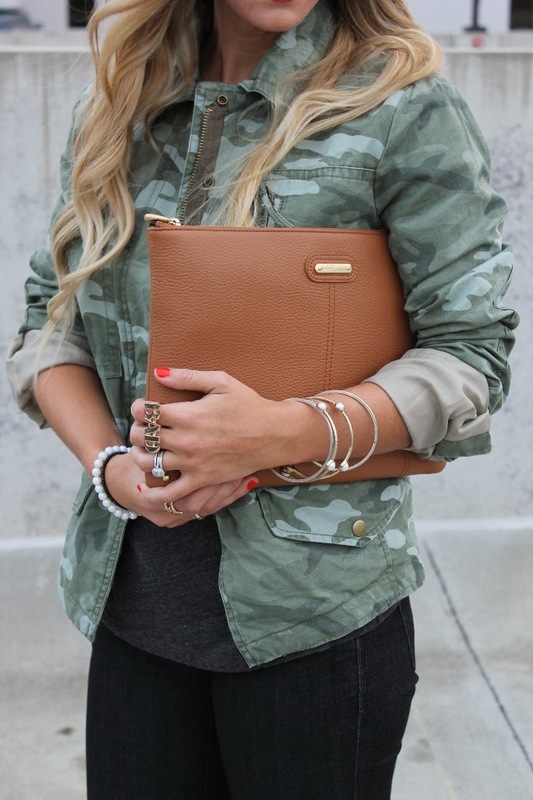 Love love love your hair and the military inspired look! Gorgeous! The jacket is fabulous! I'm involved in a long-term love affair with camo right now. Wow it's great to see 2 stylish ladies unite....Ash is really fab inside & out! 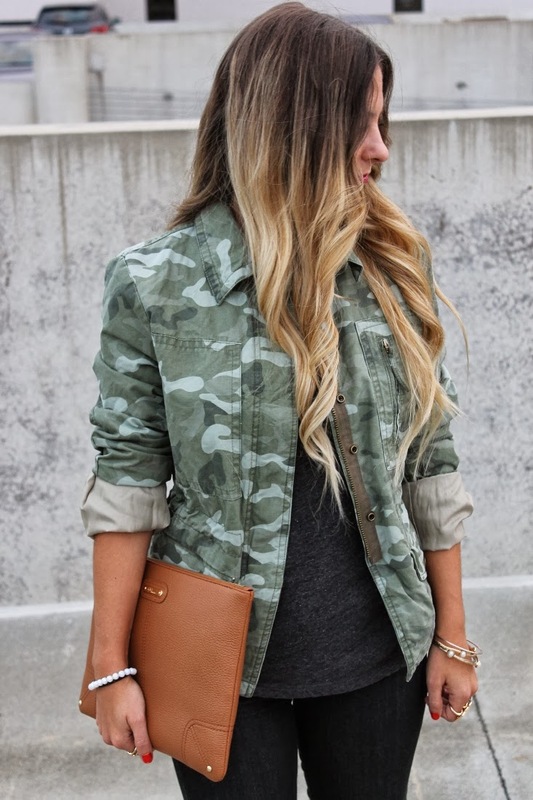 I'm also into the camo look in my latest post....hope you could check it out & let me know what you think!